According to sources quoted by the NZ Herald, National MPs were warned not push Ross too far. It seems they disregarded this advice. As a family man myself, my heart goes out to Jamie Lee-Ross and his family. 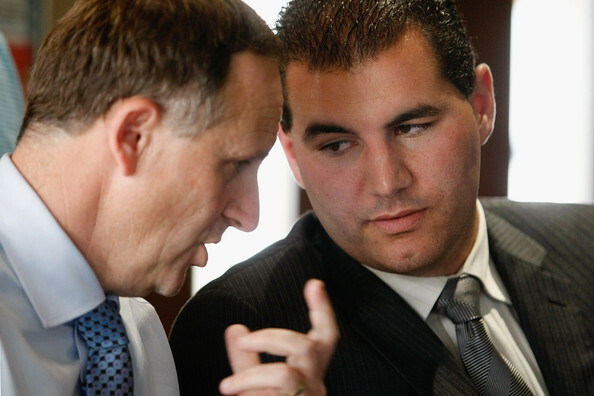 “Jami-Lee Ross has been sectioned to an Auckland mental health facility, following a tumultuous week in which he traded insults and allegations with the National Party and came clean to his wife about extra-marital affairs. Ross was taken in by police on Sunday afternoon, and a source close to Ross told the Herald that Ross was “not in good shape” and “had been sectioned … people who go willingly aren’t sectioned”. It follows a week of unprecedented political turbulence in which Ross, a former member of the National caucus’ senior team, quit the National Party, was expelled from caucus, traded insults and accusations with Simon Bridges and Paula Bennett, and admitted to extra-marital affairs that have rocked his marriage to Lucy Schwaner, with whom he has two children. My question is: Was Lee-Ross deliberately pushed as revenge for his revelations of National Party corruption? Was this an expedient way to get Lee-Ross out of the picture…drive him over the brink and get him sectioned? Considering Lee-Ross’s involvement in this corruption, was it this that caused his mental anguish as revealed on October 2nd in the first place? It seems honesty/conscience and politics are generally incompatible bedfellows! “I’m not so naive to think that all political parties other than National are squeaky clean, but nothing like this has been laid bare. And recent indiscretions by Labour Party Ministers were dealt with publicly. Not covered up. John Key was clearly papering over some pretty despicable people. The MPs who have put all their filth on display were all present when Key was there. (And ps: the motivation for Key to change the flag was to please China. and yes financial incentive was involved) MH.